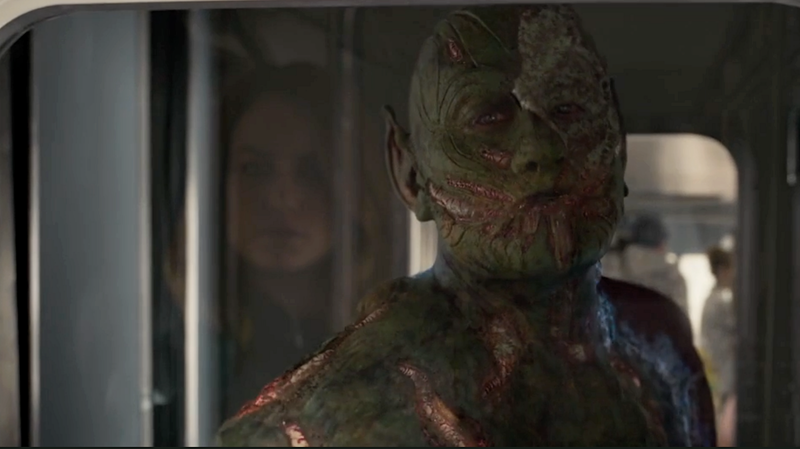 Video: Skrulls are a key part of the Marvel universe, set to officially make their big screen debut in Captain Marvel. But unless you’re a comics buff, they’re still a bit of a mystery. In this latest Captain Marvel featurette, stars Brie Larson and Gemma Chan dive into their roles as members of the Starforce, a team of Kree “heroes, warrior heroes”, as Carol Danvers likes to put it (but Kotaku has a better explainer here). For centuries, they’ve been at war with the Skrulls, a race of shape-shifting aliens who’ve come to Earth in search of, well, something. We don’t know what exactly. All we know is Captain Marvel needs to stop them from getting it. But, since the Skrulls can literally be anyone, that makes the job challenging. Be sure to check out the video, as it also shows us some pretty cool Skrull shape-changing manoeuvres. Captain Marvel lands in cinemas on March 7.